The decorations are down (we hope!) and the trees have been discarded or stored in the loft, but we still have one last little bit of Christmas to share with you. 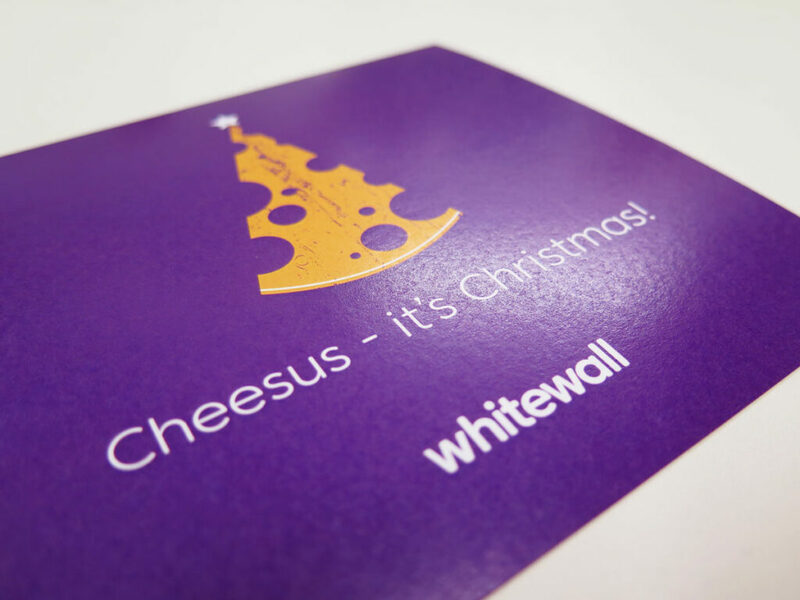 This year, we wanted to be even more personal with our client Christmas gifts. Enter the humble chutney. First of all, have a brainstorming session to come up with a unique and different gift to send to clients. We came up with chutney. Next, find out who can actually make chutney without poisoning anyone… Susie, Ross, Rachel and Kristen all volunteered without too much pressure. And, ok, we’ll admit it – there was a little help from a few talented mummas! Take one Project Manager who will gently pressure four staff into creating their chutneys and splitting into 70 jars. While the chutney is… we want to say maturing(? ), take one designer and create four flavours of label for lids and jars as well as box sleeves and postcards. Sprinkle design output with witty words from one Copywriter. Mix Print Manager with all production requirements to produce boxes, labels and stickers in the quantities described above. Mix all chutneys into 70 packs of four, ensuring an even spread of one jar of each flavour per pack. 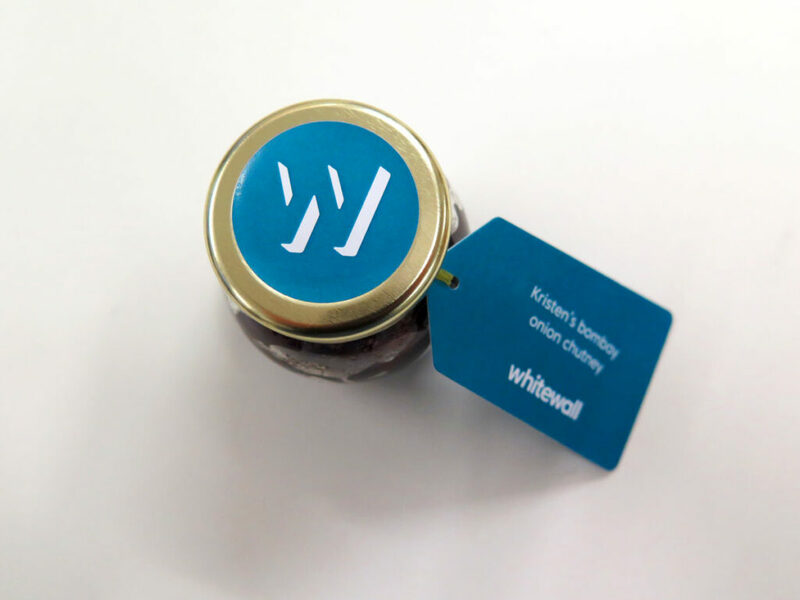 Blend into 70 Whitewall branded packs of chutney and complete with postcard (pictured). Chuck in a cheese voucher to complement our chutneys. Add box sleeve and serve. 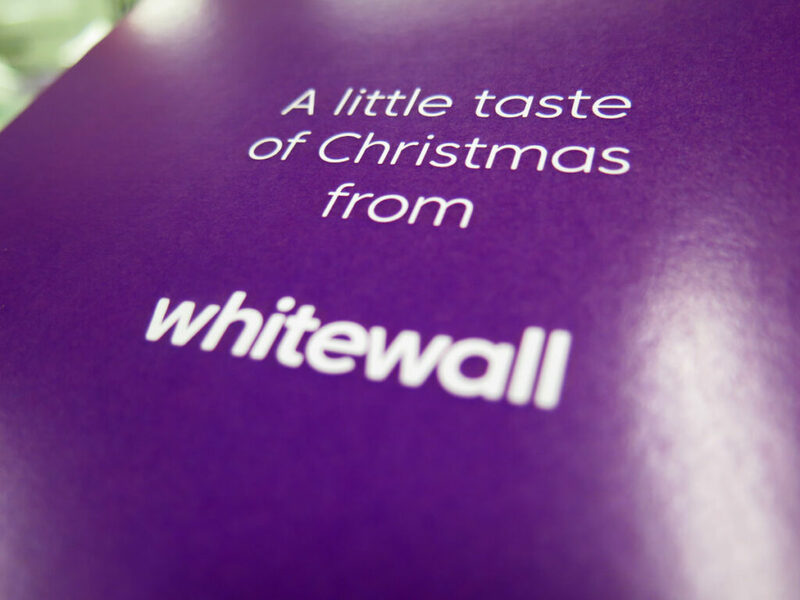 We won’t lie – it was hard work – but we do love to tantalise our creative tastebuds (pardon the pun) with a challenge at Whitewall. Especially one with a festive theme. If you’d like us to help you with a project of any shape or size (ideally one that doesn’t involve chutney, relish or jam-making), please do get in touch with us. We wish you all the best for a prosperous and fulfilling 2019!